From revolutionary to Cold War adversary, Fidel Castro was one of the world's most controversial leaders, and perhaps its most enduring. As Cuba's president for nearly fifty years, Castro's influential leadership captivated allies and enemies alike. By virtue of passionate oration and committed sense of purpose-good or bad-Castro kept the Cuban people devoted and the world enthralled. 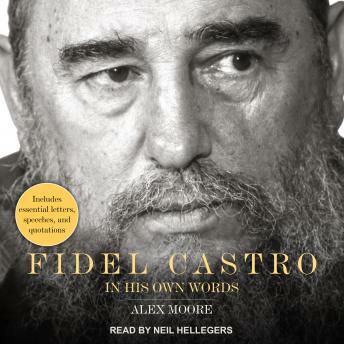 From his earliest years as a student rebel to his role in Cuba's social reform to the Cuban Missile Crisis, his life is covered in extensive detail within this book. The transfer of power to Raul Castro is explored as well as the changes to Cuban/American diplomatic relations, including President Obama's view of America's relationship with Cuba. Castro's death is covered as well as the world's reaction to it. Fidel Castro: In His Own Words is not only a reflection of Castro's life, triumphs, and misdeeds, but it is a look at the people and places affected by his politics before, during, and after the age of Cuban embargo. Regardless of one's political preference, there is no doubt that this captivating leader's influence on the Cuban people, the United States, and the world will continue to echo through time.